This was a challenging opener piece we created for a recent article in Scientific American. The idea here was to make a malignant tumor look like a hot coal ember, to suggest inflammation. 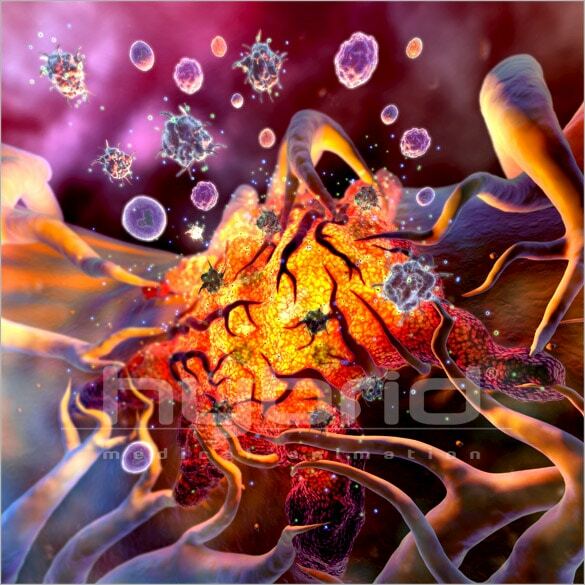 The article focuses on cancer and its ability to hijack the process of inflammation response, which in turn promotes tumor survival. Players in the inflammation process – macrophages, neutrophils, and cytokines – gather around like moths to a flame.